I’ve always loved duo chrome polishes. My husband even had a car in the 90’s that changed color from blue to green. 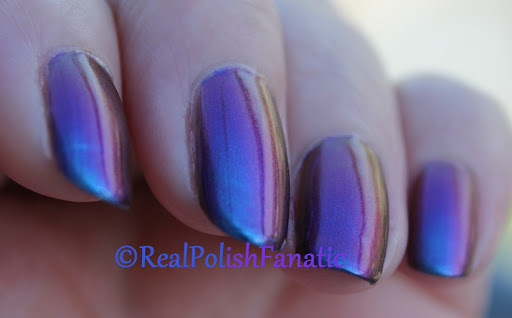 In the last few years, indie polish makers have come out with multi chrome polishes. Man, I love them so much! THEN last year came the Ultra chrome flakies. I’ve only picked up 3 of these Ultra chrome’s from ILNP, but I love them and need more!! So today’s mani started with 2 coats of ILNP Birefringence. (PS…No undies were used either – this is just 2 coats of the polish! 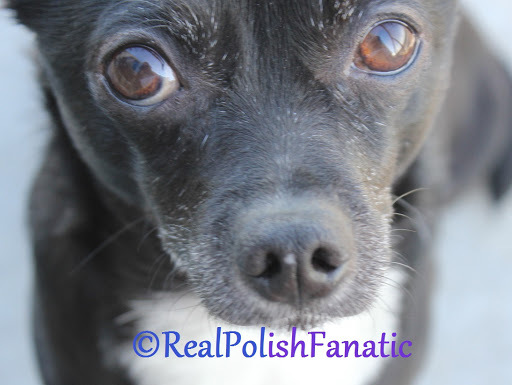 On my right hand I only have 1 coat of polish and it still looks great!) 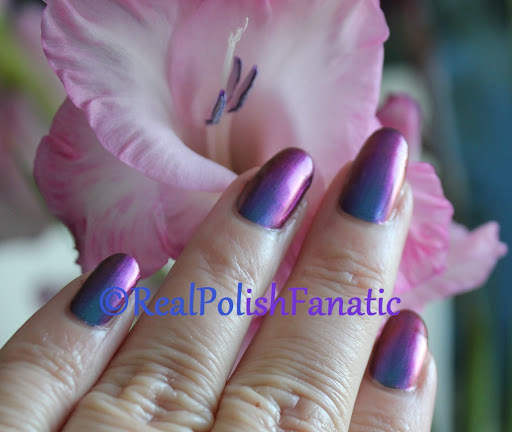 This is a multi chrome that changes from teal to blue to purple to pink. In low light, I just keep turning my hand this way and that to change it through all it’s colors. Then this morning I added just 1 coat of ILNP Supernova to just my ring & middle fingers. This Ultra chrome flakie has all the same colors as Birefringence with the addition of green. The formulas are fantastic! Birefringence is a little brush stroke-y in the pictures, but I really don’t notice it in real life with all the color changing going on. 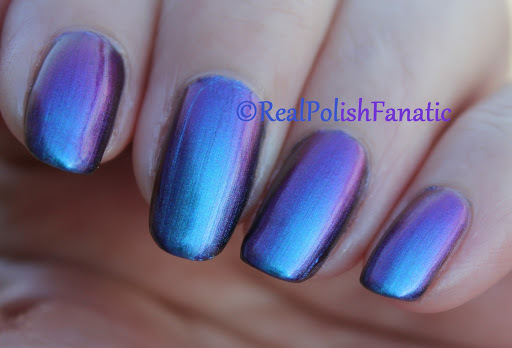 The flakies in ILNP Supernova lay totally flat on the nail. 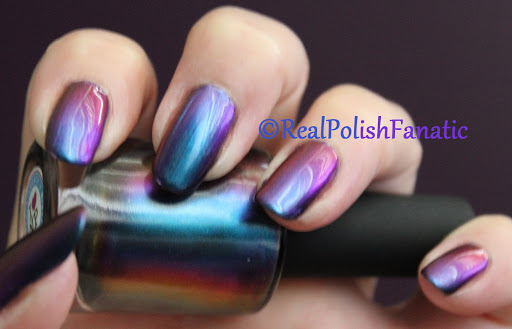 You can build these flakies up to opaque on bare nails too! It works best if you use a makeup sponge and just sponge them on. I usually use them with undies though. 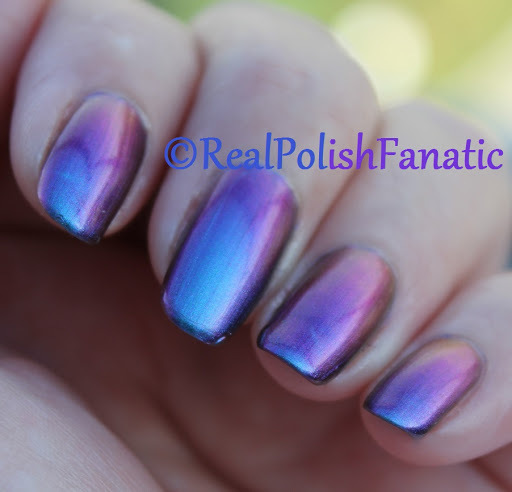 Again, the pictures are 2 coats of ILNP Birefringence on all fingers with topcoat, then towards the bottom 1 coat of ILNP Supernova was added to the ring & middle finger and another coat of topcoat. 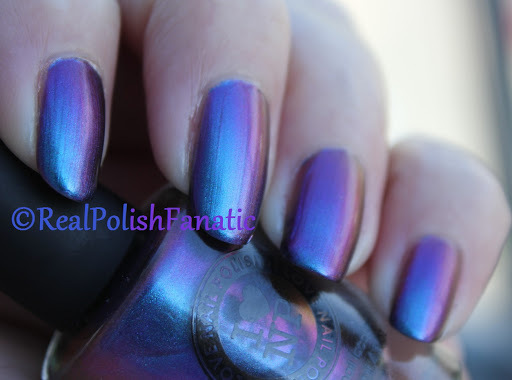 Yes, that was the same two polishes in all those photos! The color shift is just amazing! LOL! Thanks so much for stopping by. What do you think of duo/multi chromes? The polishes in this post are from my own collection and were purchased by me.